Carroll's Joinery Limited are specialists in Kitchen and Timber Joinery manufacturing that provides quality work throughout the lower North Island. The family owned business started in 1984 by John and Piki Carroll. Over the last 32 years the business has been at the forefront of innovation. 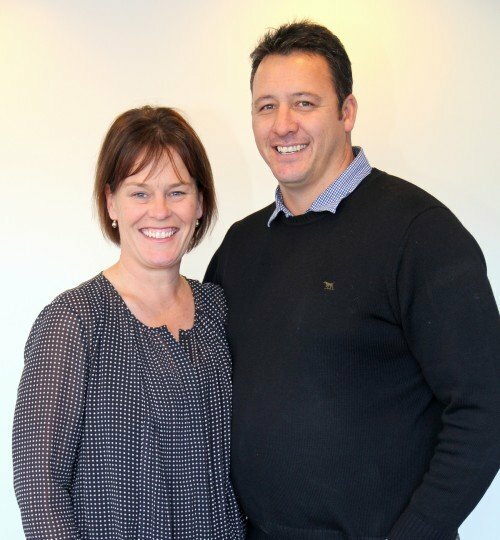 And since 2006, owners husband and wife team Richard (John and Piki's son) and Cath Carroll have continued to provide top quality workmanship and products. Throughout the ongoing development, the integrity of the original property was maintained and is still part of the business. In the last fve years the company’s focus has been on providing a comprehensive showroom to enable our clients to be exposed to the most up to date styles and trends in the kitchen industry. We have kitchen designers on site in our new showroom and this enables us to have a personal, one-to-one relationship with our clients. All of our plans are three dimensional, which enables you to see clearly the vision of your new kitchen, renovations, laundry, sculleries, wardrobes or storage. We do it all. We also have a purpose built factory on the same site. Our large modern factory is equipped with up-to-date machinery which enables us to provide quality workmanship for our clients. Having our own qualifed Install team enables us to ensure quality control throughout the entire process of your project, right here at 143 Lincoln Road, Masterton. We have an experienced team of designers standing by, ready to work with you to design a concept for your new kitchen. We will work with you to achieve the best solutions, whatever your needs are for joinery, doors, windows and stairs. We have a team of tradesmen who are experienced and passionate about creating original, hand-crafted pieces of furniture.